Death Down Below: Are Submarines Set to Become Obsolete? As a member of the Australian Defense Minister’s White Paper panel, I’ve had many discussions about issues that paper will wrestle with (and a few that it certainly won’t, but that’s a post for another time). With the obvious disclaimer that I’m not about to divulge any white paper content, I thought it was worth addressing some of the questions that have come up repeatedly. Naturally, questions about Australia’s future submarine plans are near the top of the list. Many topics are predictable enough. Where will they be built? How many do we need? I’m surprised at how often I’ve been asked whether we’re wasting our money because submarines are about to become passé. That question is based on one of two premises: that the oceans are about to become ‘transparent’ due to new detection technologies, or that submarines will be replaced by unmanned underwater vehicles (UUVs). Both propositions have a reasonable pedigree, and neither can be dismissed out of hand. And both technologies will have a significant impact on the future conduct of submarine operations. But when examined closely, they actually point towards an increased relevance for submarines. Let’s start with the detection issue. 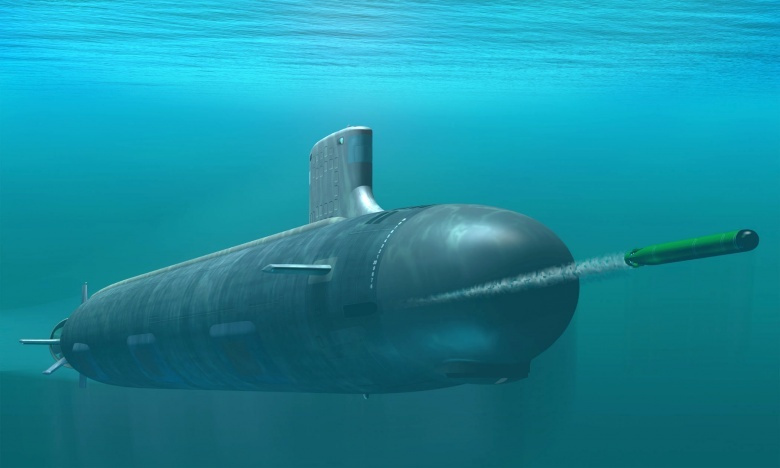 The attribute that most contributes to the effectiveness of submarines is their stealth. An adversary faces significant uncertainty even with just the possibility of a submarine being present. A great deal of effort has to be put into anti-submarine warfare to have even a reasonable chance of nullifying their effect. Having a capable submarine somewhere in a theatre of maritime operations complicates planning everywhere—or at least within a large circle of possible locations that grows steadily with time. The ability to quickly and reliably find submarines would certainly change their cost benefit calculus, and the notion of making the ocean ‘transparent’ isn’t a new one. The Cold War U.S. Navy (USN) put a great deal of effort into being able to track Soviet nuclear missile-carrying boats, building an array of networked underwater sensors under the Long Range Acoustic Propagation Project. Their effort met with considerable success and the USN often had a pretty good hold on Soviet submarine movements. But there are two important caveats. First, those were earlier generation nuclear submarines, which were noisier than their current counterparts. Second, even when Soviet submarines were detected, precise localization wasn’t always possible. The arrays were heavily supplemented by other techniques, not least of which was the ‘tailing’ of Soviet boats by American submarines. (See the ‘ripping yarn’ bestseller Blind Man’s Bluff for a popular account). In fact, when the arrays picked up the sounds of the destruction of its own USS Scorpion, the USN still took four months to locate the wreckage. The simple fact is that reliable localization of sound sources in large ocean basins is a formidably difficult task that gets progressively harder as the difference between the source and background noise gets smaller—as is the case with modern submarines. Of course, detection technologies and the ability to analyze collected data have also improved. I wrote about the effect of Moore’s Law on submarine detectability here, and it’s true that future submarines will face challenges in remaining hidden. They’ll also have to worry about techniques other than acoustics, such as wake detection, thermal signatures or even the light given off by sea creatures disturbed by their passage. Given enough data and enough signal processing power, even very subtle signs could be giveaways—potentially even from orbit. Nonetheless, the real world is a noisy and untidy place. Covering very wide areas with sufficiently sensitive sensors with high bandwidth to link them together and having the ability to respond quickly and effectively to a detection—especially given a likely high ‘false positive’ rate—will be beyond even the best resourced forces. Much more likely is that high performance ASW capabilities will be concentrated on key focal areas, such as around task groups, near naval bases, and chokepoints such as critical sea lanes through straits and narrows. The old model of submarines getting ‘up close and personal’ in their adversary’s strongholds probably doesn’t have much future. But in terms of avoiding detection, being under the water will always be preferable to being on top of it. And if the submarine can carry out its mission from a reasonable distance, there’ll still be ocean enough to hide in. To remain viable, future submarines will have to be even stealthier. They will need be able to stand off and deploy medium to long-range sensors and weapons—in a sense perhaps becoming ‘underwater motherships’ for sensor and weapon packages. In fact, as life gets harder on the surface, that ability will become more relevant, not less. And that’s a neat segue to UUVs. In the next post I’ll discuss their strengths and weaknesses and explain how the complementary package of manned submarine and unmanned subsystems could come together to help defeat improved sensors. 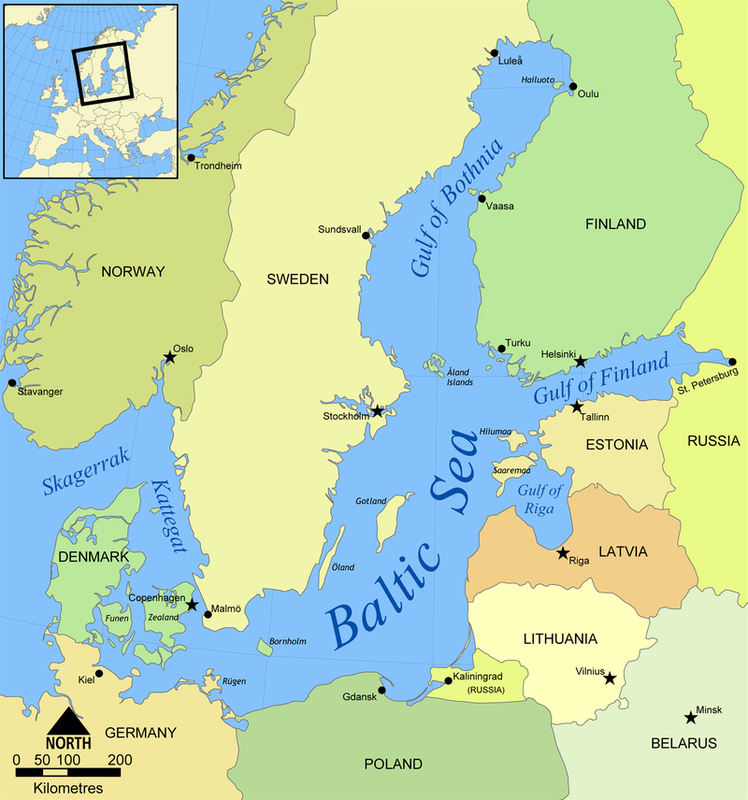 Baltic Sea Submarine Operations – Russia, Sweden and Finland. Baltic Sea Submarine Operations – Russia, Swedeen and Finland. 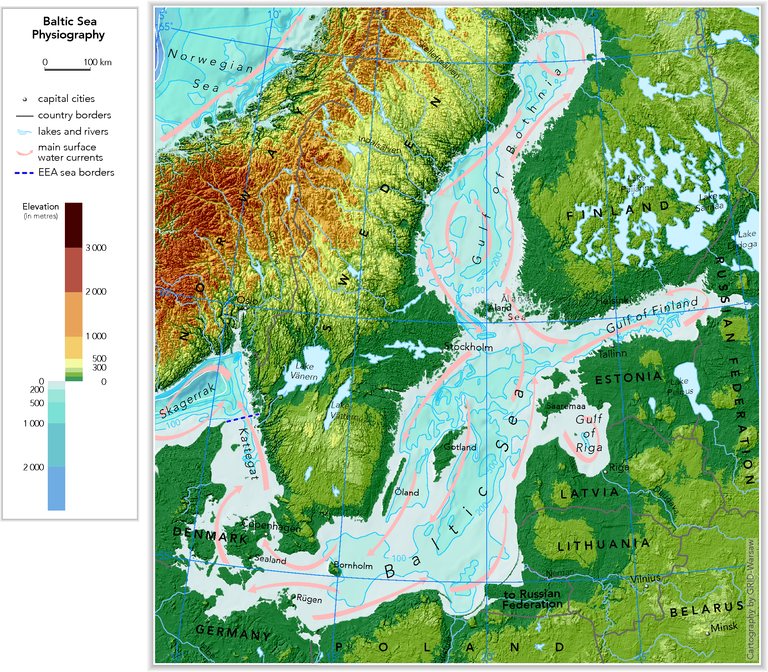 The Baltic Sea presents a challenging and dangerous submarine operating area in peacetime due to its undersea geography. This geography includes overall shallow and highly variable sea depths, many rocks and islands making for many narrows and rocks to get stuck in or collide with. However there also many sea-floor depressions/variations to hide in. In peacetime and wartime the intensity of ASW surveillance makes submarine operations on the surface and even at snorting depth dangerous. In Baltic operations quiet on-battery and/or on-AIP operation may be essential. It is probably no coincidence that the two nations that have developed the most efficient and commercially successful AIP systems (Germany (with fuel cell) and Sweden (Stirling engine)) may well spend most of their operating time in the Baltic. Little seems to be known in the open-source world about Russian submarine operations in the Baltic. Russian Kilo submarines and even Russia’s one or two Ladas appear unsuited due to their relatively large size and lack of (known) AIP. Russia, of course, has relied on highly developed nuclear propulsion solution for its AIP-like needs. But the Baltic is the wrong environment for nuclear propulsion as nuclear is assumed to be noisier than AIP, tends to preference large submarine solutions far heavier than 2,000 tons (surfaced), promotes speed which is a major danger in Baltic operations and nuclear submarines are an expensive asset to be at risk from highly intensive Baltic ASW forces and dangerous natural geography of the Baltic. – the much greater political, economic and military power of Russia compared to all other Baltic counties. Non-NATO Baltic countries Sweden and Finland are particularly careful not to offend the Russian giant by publically identifying clearly Russian submarine acoustic signatures and radio transmissions. – for a defending Navy (like Sweden’s) to be publically seen as unable to counter submarine intelligence gathering against one’s country can be embarrassing all round. “A large military operation is launched to search for an allegedly damaged submarine in Kanholmsfjärden in the Stockholm archipelago. Encrypted transmissions sent on an emergency radio frequency used by Russian units were recorded. The sources of the transmissions were identified as a submarine and a military site in the Kaliningrad [Russian Naval Base] region. 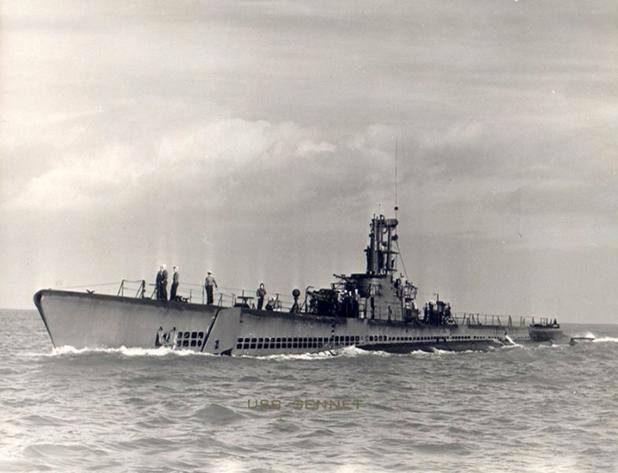 On 19 October  the military said there had been three separate sightings and released a [photograph] of the unidentified submarine to the public. There were also suggestions that the Russian Oil-tanker NS Concord was involved as a mother-ship for smaller underwater vehicles as it maintained a pattern of criss-crossing outside Stockholm during the investigation. A Russian research ship equipped with a submarine holding bay, R/V Professor Logachev, was also in the area and turned off its location transponder. This October 2014 Submarine Matters article contains more detailed descriptions of recent Russian mini-submarines in the Baltic.Tomorrow some surprisingly advanced Russian UUVs will be revealed.